Home Sitters of Osterville, Massachusetts, on Cape Cod, has earned accreditation from the NHWA for the sixth year. Aside from their being a terrific company, owner Pete Barratini is also one of my favorite people. 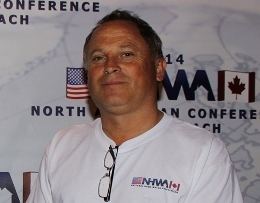 Pete has been to most of our conferences, and he always adds his take and humor to lots of the topics that are discussed. 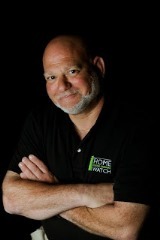 His commitment to the Home Watch industry and the NHWA is one of the reasons that Home Sitters is always on the cutting edge. Pete and his wife, Janet, began caretaking on Cape Cod in 1985. They started Home Sitters in 1998, when they realized that it should be a full-time occupation. Pete’s background working in security for ADT corporate, and his membership in the Barnstable Citizens Police Academy, reinforced just how vulnerable vacant homes on the Cape were. Add to that the fact that an empty home brings its own set of problems, and Pete and Janet knew what their future held in store. Home Sitters is a member of the Cape Cod Chamber of Commerce. While Pete is the one out in the field, Janet runs the office and tells Pete what to do. Janet is a multi-generational Cape Codder and is graduate of Bryant University. They have been married for 25 years and have four children. Home Sitters serves Barnstable, Falmouth, Sandwich, Brewster, Chatham, Harwich, and Mashpee. They can be reached at (508) 428-4471, or capehomesitters@gmail.com. Learn more at www.CapeHomeSitters.com.